What Does the Bible Mean When It Says," All Scripture"? One verse I heard often at a particular church I attended was 2 Timothy 3:16. It says, “All scripture is given by inspiration of God, and is profitable for doctrine, for reproof, for correction, for instruction in righteousness,” (KJV). This verse was cited to remind us of the holiness and practical applicability of the Bible to inform our daily lives. According to this preacher, “all scripture” referred to the KJV, the only version he accepted. However, let’s consider the phrase all scripture. When Paul wrote these words to Timothy, the New Testament didn’t exist. So Paul couldn’t have been referring to that text. Yes, there were various portions of what later became the New Testament being circulated among the followers of Jesus, but they also shared other texts that didn’t make it into today’s Bible. Therefore, Paul couldn’t have meant for all scripture to encompass the New Testament. 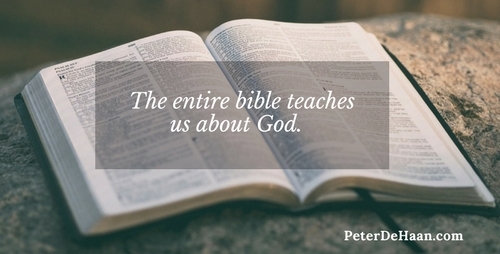 From his perspective, when he said, “all scripture,” he envisioned the texts that were available to the Jewish people. That would certainly include the Old Testament) and may have included other supporting religious documents). The version of the Bible in use in Paul’s time was the Septuagint, a Greek translation of the Old Testament. The Septuagint included the thirty-nine books we have in our Old Testament, but it also included more. See why Christians Should Consider the Entire Bible. When Paul writes that all scripture is profitable, I take him seriously. And I encourage you to as well. A great eye opener I hadn’t thought about in decades What about the book of Thomas? Or is that erroneous. I’m really curious about the book of Thomas, but I have resisted reading it. No Christian group (that I’m aware of) includes the book of Thomas in their scripture, so I will skip it–and forever wonder about it!